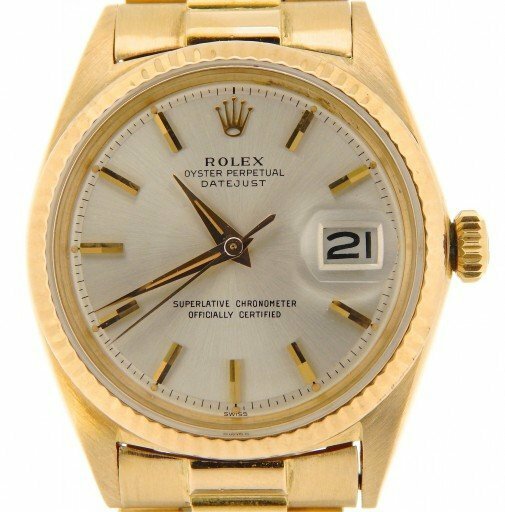 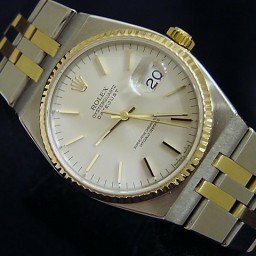 BeckerTime is proud to offer this Men’s 36mm GENUINE ROLEX Solid 18K Yellow Gold Datejust Watch ref #1601 with a Silver Dial. It has been fitted with a genuine Rolex solid 18k yellow gold presidential band. 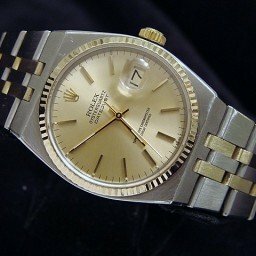 This Rolex is in Fair Condition. 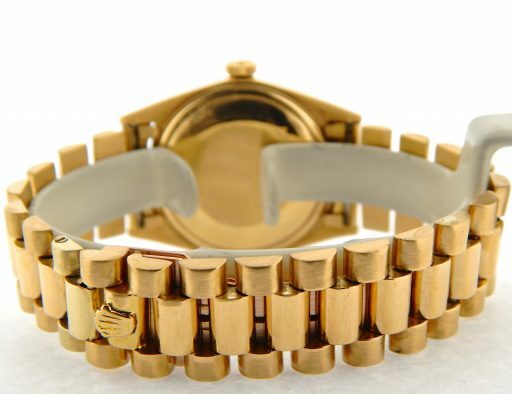 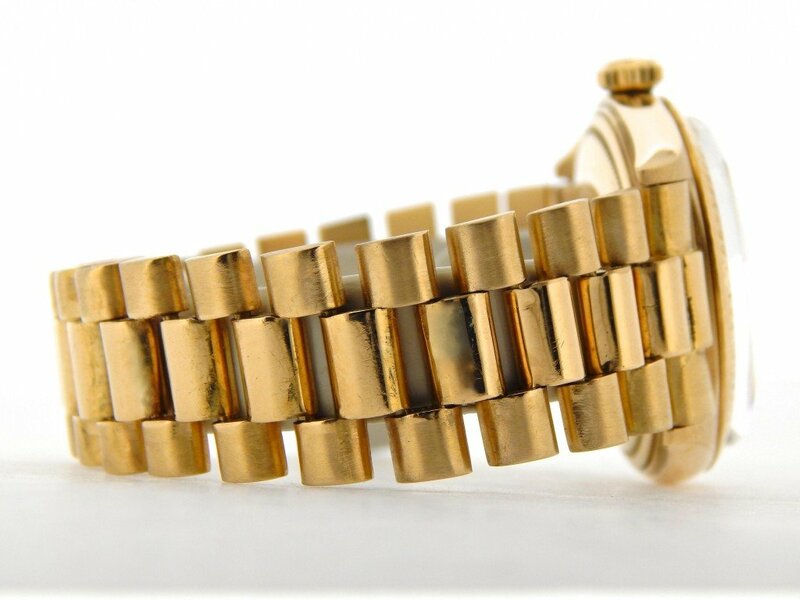 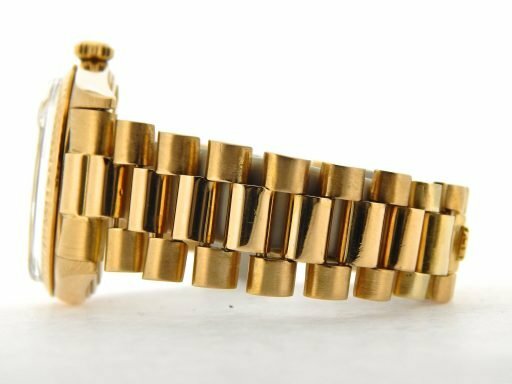 Band Rolex solid 18k yellow gold Presidential bracelet with Rolex signed hidden clasp is in fair condition with very loose stretch/wear between the links. 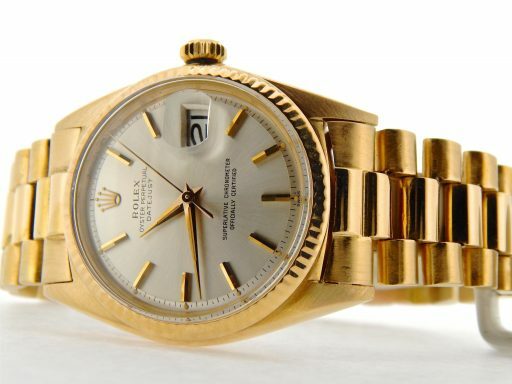 The band is made by Rolex, but came from a Rolex Day-Date Presidential.